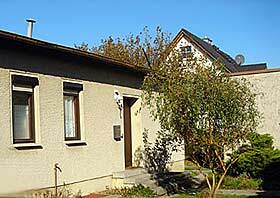 The holiday home is on Isenburger Weg in 13591 Berlin, in Spandau, Germany. The city zone (A) within the S-Bahn-Ring (city train circle) is part of the LEZ. If you want to drive with your car in the Berlin city centre, inform yourself here: LEZ stickers for tourists. This accommodation is located outside the LEZ. You can leave your car here and travel with public transport into the city centre. 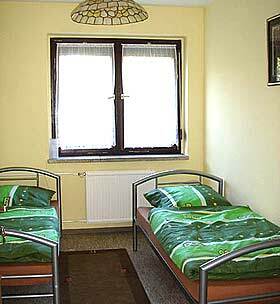 We offer 5 inexpensive 1, 2 and 3 bedded rooms in a holiday home in Berlin for up to 10 people. 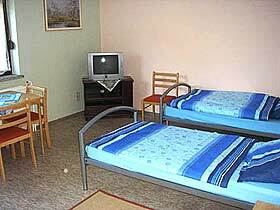 All rooms have comfortable single beds and TVs. The rooms with 2 and 3 beds also have a comfortable sitting corner with table and chairs. The kitchen may be used by everyone, and is fully equipped. It has a coffee machine, toaster, kettle, electric stove, fridge with freezer and of course, cutlery and crockery. There is also a washing machine available. 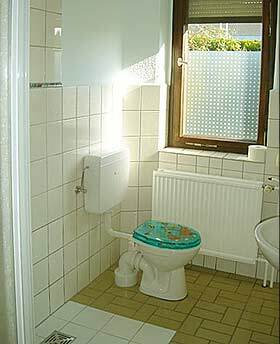 The shared bathroom has a toilet, shower and basin. Bed linen are provided and included in the price per night. For your booking a deposit of at least 25 % is necessary. A well-behaved dog is most welcome. Parking in front of the door is for free and normally unoccupied. We request that you do not smoke in the rooms, but rather in the large garden. 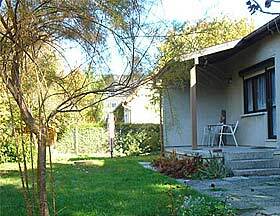 The whole holiday house can be rented for € 225 per night. spam protection : 1 + .3 = <- Please enter the sum. 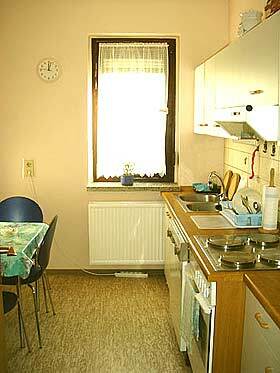 This holiday apartment is made available by Privatzimmer Sens, Agency for holiday apartments and guest rooms in Germany.